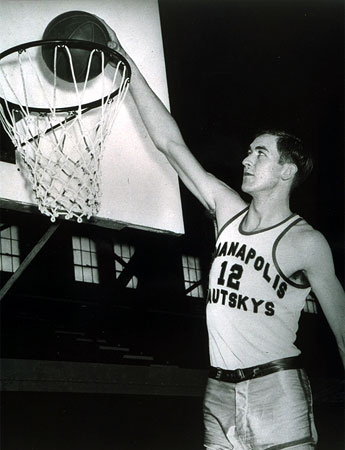 Arnie Risen was Indianapolis’ first professional basketball star, a future NBA All-Star and Hall of Fame center who helped bring the city its first significant championship. He also unwittingly ushered in the era of basketball as an occasionally harsh business that can punish players, fans and owners alike. His acquisition lit up a franchise and its fan base. But, his coarse disposal left behind a mess that led to an ownership change and nearly the loss of a franchise. Then again, it worked out all right in the long run – for Risen, especially, and for Indianapolis, temporarily. Risen, who passed away on Aug. 4 at age 87, grew up in the humblest of circumstances, and reflected that upbringing throughout his life. Raised in Williamstown, Ky. during the Depression on a small tobacco farm with no running water, he grew tall (but not wide), and was blessed with enough coordination to land an invitation to play at Ohio State after spending a year at Kentucky State Teacher’s College. 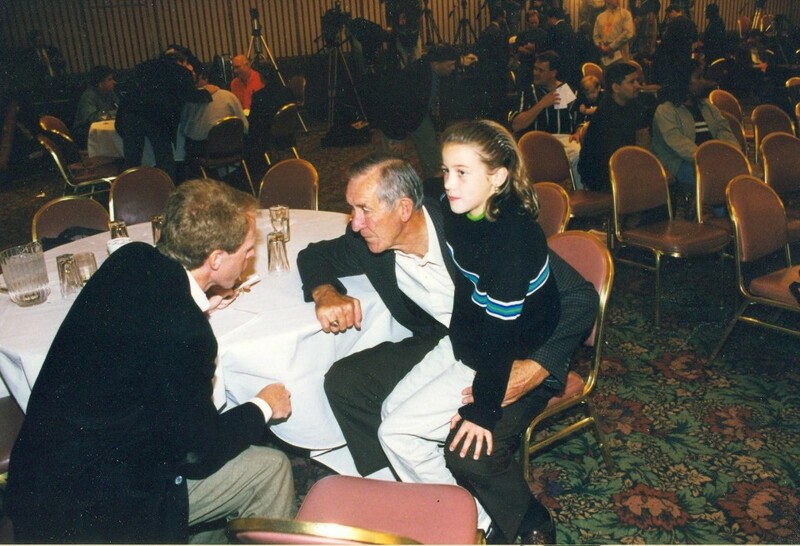 Talking with Arnie Risen at the 1998 Naismith Basketball Hall of Fame induction. He led OSU to the Big Ten championship in 1944, averaging better than 20 points per game, a major accomplishment of that low-scoring era. 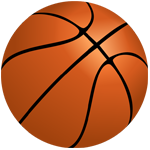 He also led it to the Final Four in 1944 and ’45, an accomplishment tempered by the fact it only took one victory to reach the Final Four in those years of eight-team tournament fields. Risen scored 21 points in the Final Four loss to Dartmouth in ’44 and 26 points in an overtime loss to NYU in ’45 as a junior. He fouled out of the ’45 game, a major factor in his team’s collapse from a 10-point lead late in the second half. His senior season went completely haywire after he had some teeth knocked out by an errant elbow in the fall, and then caught a cold that turned to pneumonia. He wasn’t able to attend class for an extended period, flunked out of school at the semester break and returned home. That’s where Frank Kautsky, who owned the Indianapolis professional team that bore his name, found him in January, idle and out of shape. He convinced Risen to join his team for the princely sum of $75 per game (reportedly outbidding three other teams), and threw his new center into action on Jan. 9, a day after signing him.